The rumors of next iteration of the Oculus Rift headset are newly emerging, as details of code discovered by UploadVR in the Oculus PC software seem to confirm the existence of the ‘Rift S’ headset. 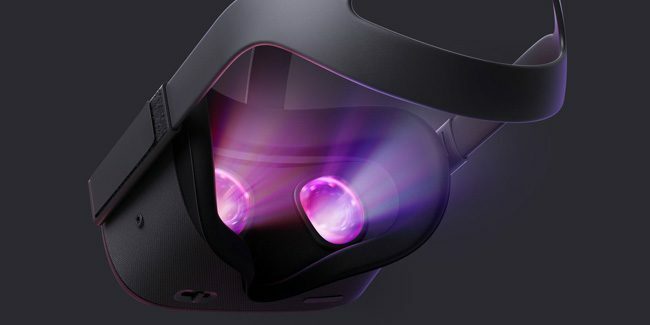 The code hints some of the hardware capabilities we can expect from the Rift S, such as a setting that allows users to adjust the lighting frequency for Rift S cameras, suggesting that the headset will feature positional tracking via built-in cameras, eliminating the need for external tracking sensors, which the current Rift requires. These new details help reaffirm an earlier report from TechCrunch in November that the company has shifted its strategy from developing a next-generation ‘Rift 2’ in favor of a more modest upgrade ‘Rift S‘ headset. Though there is no official information available on if and when the Oculus Rift S will be released, there is a good chance we will learn more on what new consumer hardware Oculus has in works later this year.